While in New York Martha MacCallum invited Will Graham and Luke Zamperini to be guests on her show. Royal Family KIDS and Louis Zamperini Youth Ministries have formed an alliance to develop camp curriculum using our Founders amazing story. These efforts and the curriculum will bring hope to the children, as well as equip them with Louis' extraordinary value system from "Don't Give Up, Don't Give In" and "Devil at My Heels." These life lessons will be shared in unique ways to help inspire and sow seeds of faith to change their lives forever. The Louis Zamperini Youth Ministries is honored to be sharing Louis story of HOPE within the Juvenile Justice Department. We have continued to make inroads into this system. We are happy to report that so far this year we have provided all of the Los Angeles County Juvenile Detention Centers and Camp facilities with copies of the book Unbroken, Young Adult Version. Working with youth pastors and mentors within the Los Angeles County Correctional Facilities, Louis Zamperini Youth Ministries is sharing the good news of HOPE and REDEMPTION. Hundreds of copies of this book along with Unbroken, Legacy of FAITH EDITION DVD’s have been donated to programs that have book clubs and mentoring for these kids in great need of a second chance! The Louis Zamperini Foundation team just returned from Granbury Texas where we had the honor of filming and interviewing the remarkably gifted teacher Heather Fuller and many of her wonderful students! 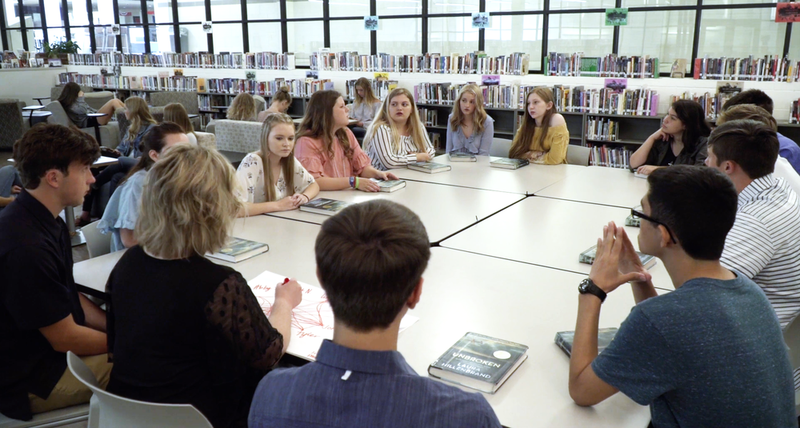 Stories of faith, hope, overcoming adversity...camaraderie, compassion, empathy, forgiveness...were all on display as the students discussed the impact of the book UNBROKEN. We were able to both witness and document the positive impact this real life hero has on our high school youth! We are beginning our development of this method of teaching based on our teachers curriculum. With a proven track record of 5 years of being taught we are convinced this story CHANGES LIVES!